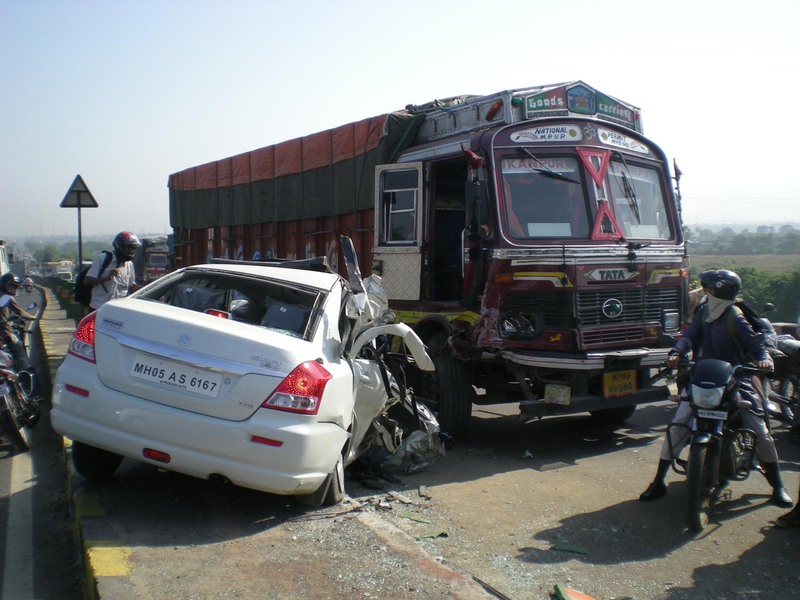 In 2013, about 11 persons were killed per lakh population in road accidents in India. This is one of the highest in the world among the major nations only after Russia (19). But, India had one of the lowest injury accidents per lakh population at 40 in 2013. The Road Accidents in India 2015 was released recently by the Minister of Road Transport & Highways (MoRTH), Shri Nitin Gadkari. The number of people killed per 100000 (lakh) population in road accidents in India was 11 in 2013. While this is on the higher side, the number of injury accidents per 100000 population was one of the least in the world. An injury accident refers to road accident resulting in at least one injury or death. Injury accidents per lakh of population in India was substantially lower at around (40) during 2013 when compared with other developed countries. USA reported the highest figure in injury accidents per lakh population at (513) followed by Japan (494), Germany (361) and Canada (348). While injury accidents per lakh population is on the lower side, India figures on the top when it comes to number of persons killed per lakh population in road accidents. India’s figure in 2013 was 11 which is next only to Russia (19) in the select list of countries. Out of the 5 lakh odd road accidents in 2015, more than 80% took place on single lane and two lane roads. Single lane roads accounted for 43% of all the accidents. More than 50% of the single lane road accidents took place in the five states of Karnataka, Madhya Pradesh, Maharashtra, Tamil Nadu and Uttar Pradesh. More than 50% of the two lane road accidents took place in the four states of Kerala, Madhya Pradesh, Maharashtra and Tamil Nadu. In 2015, about 49 % (2.45 lakh) of all the accidents took place on the junctions compared to 57% in 2014. The highest number of accidents occurred at T-Junctions in 2015 causing 94,487 accidents with a share of 38.5 percent of the total road accidents on Junctions and with an 18.8% share in overall accidents. About 20% of all the accidents on Junctions occurred at a Y-Junction. Close to 20% of all the T-Junction accidents took place in Madhya Pradesh. Of all the accidents, 70% took place on good surface roads as per the government data. Close to 6% of the accidents occurred on loose surface roads. About 2.2% accidents occurred on roads with pot holes and an equal percentage on roads under repair. 20% of all the accidents on loose surface roads took place in Madhya Pradesh. More than 30% of all the accidents at pot holes also occurred in Madhya Pradesh. Only the four states of Arunachal Pradesh, Himachal Pradesh, Jammu & Kashmir and Sikkim accounted for all the accidents on snowy surfaces. More than 50% of the accidents on oily surface occurred in Maharashtra alone. More than 50% of the accidents on speed breakers occurred in Karnataka, Madhya Pradesh and Uttar Pradesh. Two-wheelers (31.5%) are the most vulnerable and unprotected road users killed in road accidents in 2015. Other road users killed in road accidents are cars, taxies, vans etc (17.2%). Pedestrians accounted for 9.5% of those killed in road accidents. More than 60% of the pedestrians killed in road accidents come from the five states of Karnataka, Kerala, Madhya Pradesh, Maharashtra and Tamil Nadu. the statistics are worrying we need to do something strict road laws.